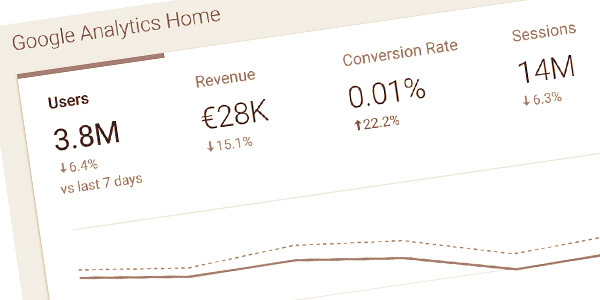 Google Analytics helps the user to make smarter decisions regarding their website by improving the ROI of marketing campaigns and improving the site to drive more profit. Google Analytics is a very powerful tool. However, with the several reports that are available, the metrics and dimension nominations and the segmentations, it’s normal to feel lost. Where do you start? How do you know what’s important? How to make sure that you are tracking the essential information? Have you defined your KPIs and goals correctly? Is it necessary to add filters? If you ever wondered about these questions, then this training was designed for you!This training will provide step-by-step information, driving you from beginner to advanced user, while explaining the topics below: Explain all standard reports and which ones are relevant for your business. How to have a business mindset in your analysis and define the right KPIs thereafter. Segment data to discover new insights (advanced segments, secondary dimensions, etc…). Customize reports /dashboards /metrics & dimensions to answer business questions. Understand how reports fit into the conversion process.